APOonline for Sections is FREE! Sign up now and start managing your section today! 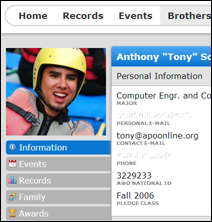 Share photos of your section and events with APOonline's photo album manager. All of your section's photos all in once place. Tell the world about what's going on in your section through your very own section blog! Each post has visibility settings and can be set to even show on your section and/or region blogs too! 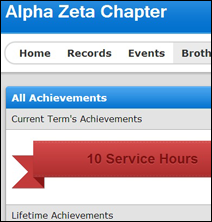 Create custom achievements for your section to encourage your members to stay active in the fraternity. See how you match up against other brothers in your chapters, section, region, and even across the nation in terms of service. Every section's by-laws are different and we understand that. APOonline offers you the tools to completely customize your site to fit your section's individual by-laws. 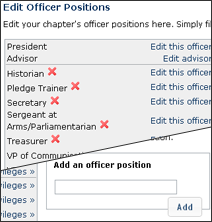 Create custom officer positions for your section and assign each one their own set of privileges to access different parts of your new section website. Each function of APOonline has its own privilege requirement. 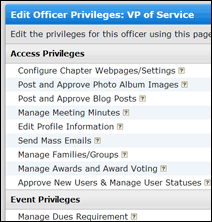 Grant access to an individual officer position or an entire membership status from APOonline's custom privilege settings. Manage your own set of membership statuses and create custom requirements for each one individually. Have an 'Abroad' status? No problem. Just create a new custom membership status. We all love getting awards. 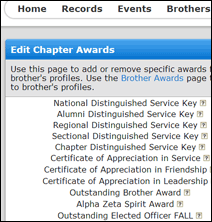 Now you can give awards that will show up on brother's profiles straight from your website. Have a unique award to your section? Just add a custom award and you ready to go! Manage all of your region's chapters in one place. 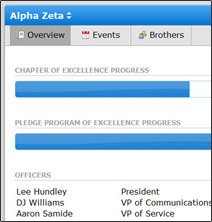 View current officer contact information as well as each chapter's Chapter of Excellence and Pledge Program of Excellence progress. 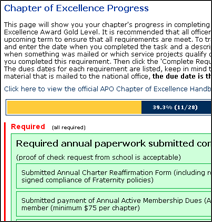 Exclusive to Prospect, Interest and Petitioning Groups: Track your progress as your group seeks an Alpha Phi Omega charter with APOonline's charter checklist! 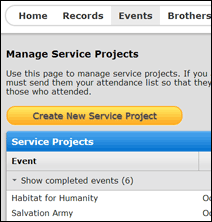 Never miss another service project again with APOonline E-mail Notifications. 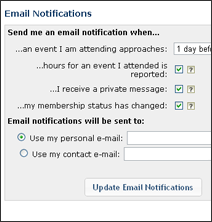 Set a timer to send you an e-mail a certain amount of time before an event or when you have just received new requirement credit to your account. 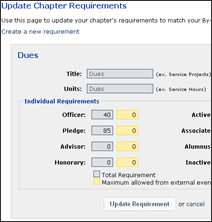 Track your chapter's Diamond Level Chapter of Excellence or Pledge Program of Excellence progress. At the end of the year just look up each chapter's progress and send out reminders for any missing requirements. 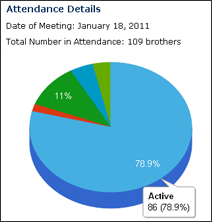 Track and view statistics on your staff's attendance at meetings with APOonline's Attendance Manager. 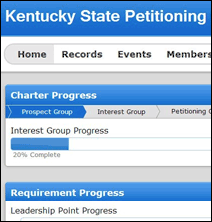 Set attendance requirements and track brother's attendance progress all online! Make your site feel at home with APOonline's Custom Theme Manager. 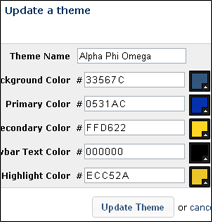 Change the look and feel of your entire website with simple color choosing tools and swap out themes as you like! Need to contact the entire section? Or just the attendees of this weekend's event? Or how about just your alumni? 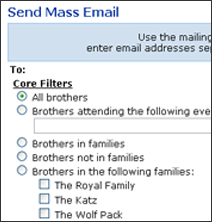 APOonline's Mass E-Mail feature will let you contact any number of brothers straight from your very own website. 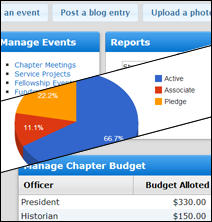 Post all of your section's events all in one place with APOonline's event management system. Send out invitations to your chapters and have a single place to coordinate attendees and rides. 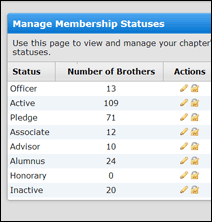 Each brother will create their own profile complete with picture and contact information to be added to a single centralized membership roster. As brothers graduate the beginnings of an alumni database is formed. 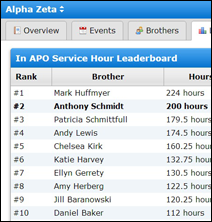 View any APO brother's profile within the APOonline community and send them a message even outside of your chapter. 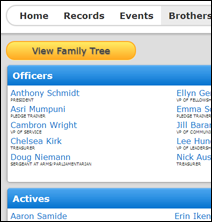 Contact chapter presidents across the country with APOonline's brother profiles! 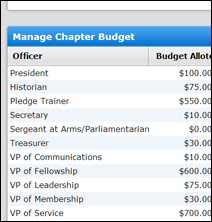 Assign a budget to each officer position at the beginning of the term. 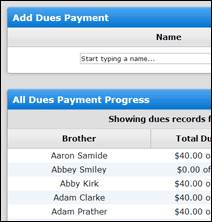 As you log transactions you can tag them with an officer position and each each officer has a budget remaining indicator when they log in. APOonline is always adding new features in monthly free updates which are automatically added to your chapter's website.